Q & A session with Simon Cohen – your first questions for 2018! Q&A session with Simon Pressley – you ask, we answer! It's never too late to start investing in property. Here's why! string(59) "How this investor purchased his first property in his teens"
Joey D’Agata purchased his first property when he was just 19 years old. Today at the age of 25, having just settled his fifth property, he joins host Phil Tarrant on the Smart Property Investment Show to share why he believes it isn’t all doom and gloom for Generation Y.
Joey reveals how he has built his portfolio using cross-collaterisation, discusses its risks and benefits as an investment strategy, and explains how he plans to shift his investment plan once he is done accumulating properties in his portfolio. He also explores his renovation strategy, how it has helped his property valuations, and why his portfolio consists solely of flats. If you like this episode, show your support by rating us or leaving a review on iTunes (The Smart Property Investment Show) and by following Smart Property Investment on social media: Facebook, Twitter and LinkedIn. If you have any questions about what you heard today, any topics of interest you have in mind, or if you’d like to lend your voice to the show, email [email protected] for more insights! string(36) "investor, purchased, property, teens"
string(276) "Joey D’Agata purchased his first property when he was just 19 years old. Today at the age of 25, having just settled his fifth property, he joins host Phil Tarrant on the Smart Property Investment Show to share why he believes it isn’t all doom and gloom for Generation Y." 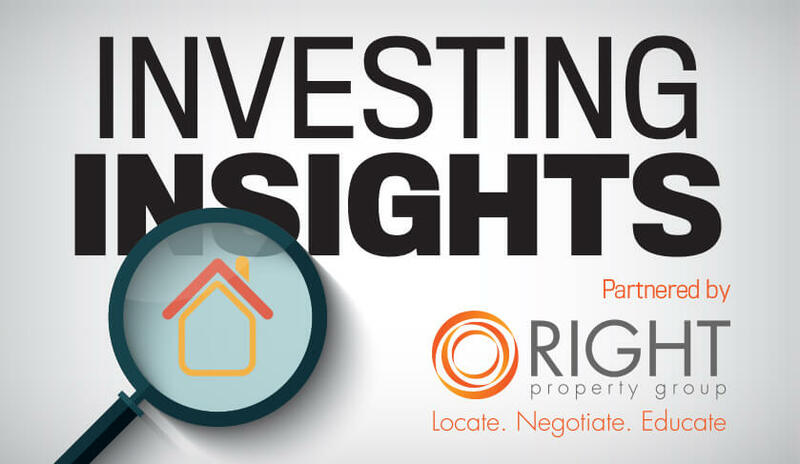 The Smart Property Investment Show provides insights on the key issues facing investors. Regular guests including property experts, demographers, politicians, property influencers, and investors share their thoughts on the property market, lender policies, government regulation and the national economy. Each episode is raw, uncut, authentic, unscripted and to the point, with plenty of tempo to keep you motivated. string(125) "Smart Property Investment is the premier source of news, intelligence and information for property investors and home buyers." string(34) "The smart property investment show"
string(48) "The investor who never wants to own his own home"
Having only started investing a year ago, Krys Drysdale has been quick to act on his plan to create wealth through property, a plan that sees him with no intention to ever own a principal place of residence, nor sell any part of his portfolio. Why is he doing it? In this episode of The Smart Property Investment Show, Krys joins host Phil Tarrant to share how his career in real estate helped him to decide that property was for him, and explains why no matter how well his investments go for him, he still has every intention of continuing to work as an agent. Krys discusses each of his purchases, including “the worst purchase he has ever made”, shares the role that his super has played in his journey, and how he undertakes due diligence when buying a property to add to his portfolio. string(263) "Having only started investing a year ago, Krys Drysdale has been quick to act on his plan to create wealth through property, a plan that sees him with no intention to ever own a principal place of residence, nor sell any part of his portfolio. Why is he doing it?" string(64) "Why more and more properties are now being sold ‘off-market’"
Investor Brady Yoshia joins host Phil Tarrant in this episode of the Smart Property Investment Show to discuss why she is seeing a rise of “off-market” property, having bought investments for numerous clients in her role as a buyer’s agent in addition to her own extensive property portfolio. With the Sydney market in particular in a state of uncertainty at the moment, Brady reveals her top picks for the hotspots that are most likely to negotiate a good deal, which areas remain overpriced, and the credentials that she looks for in a property when buying for a client. Discussing her own portfolio, Brady also shares which properties performed well for her, discusses Airbnb as an investment option, and gives her advice to those considering the short-term rental craze as an option for their first investment. Investment tip: Do you need a buyer's agent? string(35) "properties, sold, ‘off, market’"
string(300) "Investor Brady Yoshia joins host Phil Tarrant in this episode of the Smart Property Investment Show to discuss why she is seeing a rise of “off-market” property, having bought investments for numerous clients in her role as a buyer’s agent in addition to her own extensive property portfolio.